Posted on Февраль 9, 2018 by Татьяна Н.
Предлагаемые упражнения по теме «Артикль в английском языке (уровень средний)» следует выполнять после того, как вы изучили правила употребления артикля в английском языке. Еще раз хочу напомнить, что артикль является наиболее сложной для изучения частью речи в английском языке. Упражнения взяты из разных учебников, немного отредактированы и представлены по уровням сложности. Всем удачи! Упражнение 2. Поставьте артикли a (an), the перед существительными, где нужно. I made … new friends last summer. He lives in … large house. … Bob and … Mark are … friends. Daniel Defo is … English writer. My parents have … cat. … cat doesn’t eat meat. Would you like … cup of tea? I like … cold juice. I don’t like … meat I had for breakfast. Упражнение 3.Поставьте артикль a (an), the перед существительными, где нужно. This is … tree. … tree is green. These are … children. … children are naughty. My friend has … dog and … cat. ….dog never bites … cat. I have … bike. My … bike is … new. My friend has no … bike. Last year I gave my… mother … kitten as … present. My… mother liked … kitten. I got … letter from … friend yesterday. … letter was interesting. She has got.. idea. Her… idea is … brilliant. They read … book yesterday. … book was not … boring. Let’s go to … shop to buy … bread and… butter. I have no… time to watch TV. My friend has many interesting books at… home. Moscow is … capital of Russia. What… languages does your sister speak? We had … good time in … country. Many … tourists visit the Tretyakov gallery every month. Упражнение 4. Поставьте артикли перед существительными, где нужно. Если перед существительным стоит прилагательное, артикль ставится перед прилагательным. This is house. House is made of wood. Your blouse is in washing machine. In good library there are always many interesting books. Story was so exiting that children were very quiet. I’m not surprised. It’s very old and expensive book. I know man who lives in house. It is dark in room. Упражнение 5. Поставьте артикль the перед существительным, где нужно. Where is … key? It is on … table in … hall. There is no fish in … river. Where is … fish? There are no stars in … sky. I have many books. … books are in … bookcase. … bookcase is in front of … door. In … corner of … room there is a small round table. … weather is fine today. Let us go and play in … garden. I can see a large pond in … middle of … garden. There is an old tall tree in … centre of … city. 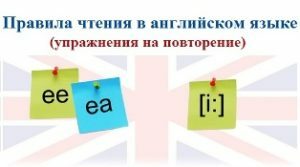 Изучить There is /are — конструкция местонахождения в английском языке. Упражнение 6. Поставьте артикль the перед существительными, где нужно. Let us go to … shop. The weather was bad and we went to … museum. I go to … cinema every week. He likes to go to … theatre. My granny lives in … country. Can you go to … art gallery to see the paintings by Serov? I usually buy fresh fruit and vegetables at … market. In the old days people go to … church every …Sunday. Упражнение 7. Поставьте артикли перед существительными, где нужно. There is … delicious cake in … middle of … table. There is … big plate of … porridge in front of you. There is … bottle of lemonade in … fridge. There are … photos on … walls. There is … beautiful picture in my mother’s … room. … picture is on … wall to … left of … window. I can see … nice wooden coffee table to … left of … door. … table is … black and… red. My uncle went to … west in … morning. Let us go to … south to enjoy … sunny weather. These are … chairs. … chairs are … large and old. He always tells … truth because he is … honest man. I leave … home for… work at 8 o’clock. We were at … seaside last summer. They spoke in … very loud voice. Please, say it in … whisper so that nobody could hear you. Let us have … break so that I could have … look at the paper. Поздравляем! Вы выполнили упражнения по теме «Артикль в английском языке для продолжающих», продолжайте изучать тему «Устойчивые конструкции с артиклем в английском языке (полный список)» или переходите к другой теме — Английская грамматика по уровням (beginner, intermediate, advanced). This entry was posted in Артикль.